As our contribution to "Homecoming" our latest exhibition 'Robert Burns - His Life and Time' was launched on 23rd January with a special preview evening for Friends' members. The exhibition will run until March 6th 2009. Opening hours are Monday - Friday 11:00 to 12:30 and 1:00pm - 3:30pm. 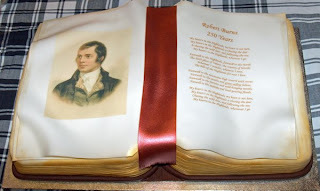 This stunning cake, yes cake, was made by local firm Varis Pipe Dreams and proved so realistic that many of the guests tried to turn the pages - even before they started on the wine! 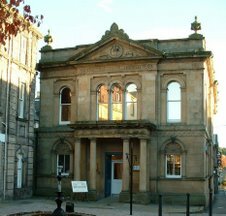 The exhibition features some of his poems, his Epitaphs, watercolours based on his poetry, timelines, models and drawings of agricultural equipment, recipes and measures of the time period and recorded recitations of some of his best known poems. Yes! Finally something about kilimanjaro. anxious about switching to another platform. I have heard very good things about blogengine.